When you think of Australia, images of kangaroos and backpackers will enter your mind. But the Red Continent has much more to offer! An internship in Australia means working in a relaxed environment with professionals. This will allow you to gain experience and develop yourself, in a professional and personal way. Internship Provider has the best offers for internships in Australia in almost every field. It is easy for us to arrange your internships in Sydney, Melbourne or Brisbane, thanks to our partners on location and our established network of Australian companies. Internship Provider offers you a package which covers everything you need to carry out internships in Australia. We organise a suitable internship for you, taking into account your school’s requirements and your personal wishes. Internship, accommodation assistance, insurances and visa information, travel guidance, and much more! 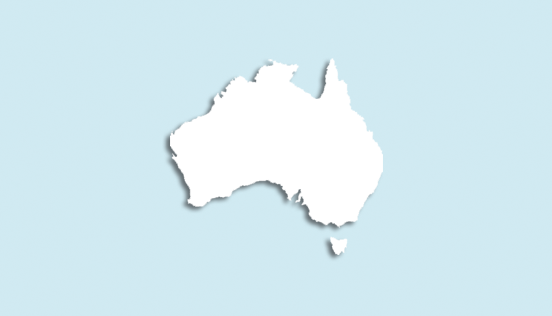 Why go to Australia with Internship Provider? Internship Provider has a lot of experience in arranging internships in Australia for the simple reason that we started with this destination. With this destination our staff can therefore provide you with all the information you need. From accommodation to the best trips, we have personal experience. Attention: For an internship in Australia, it is important that your internship agency operates according to the rules established by the AIIA (Australian Internship Industry Association). These rules are in line with the Australian Law, the Department of Education and the Department of Employment. If this is not the case, it can lead to a poor quality internship, chance of losing your internship and in the worst case deportation from Australia. The local office of Internship Provider is a member of the AIIA and therefore It is guaranteed that all internships and graduations offered by Internship Provider, meet the guidelines of the AIIA. With Internship Provider you are 100% sure that your internship will be well organized. Let us help you go to Sydney, Melbourne, Perth or Brisbane and experience the relaxed lifestyle during an internship in Australia. Learn how to surf and discover the most beautiful places and enjoy the beach parties. In Australia there are many cultural events and festivals. You won't even have time to get bored! Read the destination page of Australia for more information about this wonderful country.